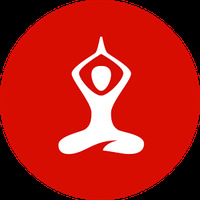 "Different poses to inspire the practice of yoga"
App description: Practice yoga anytime, anywhere with the help of your Android device. Functions: Offers seven programs aimed at all levels (beginner, intermediate and advanced), brings breathing exercises, 289 poses, videos and pictures of the poses. Controls: Touch the screen to check the tutorial and the images with different poses. Installation requirements: A minimum of 21.51 MB of free memory space and Android 4.0 or higher. Rating: The TOP 5 Most popular Apps in Yoga category.